Birth place: Nagasaki Japanese composer who has worked on several titles. 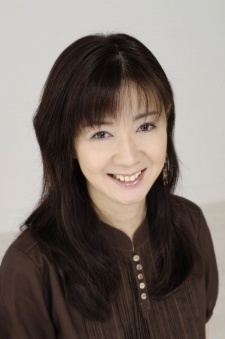 Her earlier works include composition for games on Super Famicom and the action/adventure game Ico for PlayStation 2. She is well known for her work on the Godzilla movies. She also assisted in composing the score for Fullmetal Alchemist, a popular anime. In addition to FMA, she has also worked on Queen Emeraldas and Fullmetal Alchemist the Movie: Conqueror of Shamballa. She was also the composer of Legend of Legaia (an RPG game for the PlayStation) soundtrack and its PS2 sequel - Legaia Duel Saga, which she worked on with eminent Japanese game composers Yasunori Mitsuda and Hitoshi Sakimoto. Other notable works by Oshima include Arc the Lad (TV series), Arc the Lad 3 (Video game). She is also widely considered to be the best Godzilla composer, next to Akira Ifukube and has recently made an orchestral arrangement of a Zelda-medley used in The Legend of Zelda: Twilight Princess (GameCube, Wii; video game). Other famous work is the music she has made for Weathering Continent.